The Export-Import (Ex-Im) Bank lends, guarantees loans, or otherwise commits billions of US tax dollars every year for the purpose of aiding exporters. Good governance requires transparency and accountability about the disbursement of these funds. The Ex-Im Bank makes this difficult with widespread use of vague terms, leaving unanswered questions about which US exporters are being supported, which foreign borrowers are receiving benefits, what countries those foreign companies are based in, and how much aid goes to each state’s exports. The resulting lack of transparency makes it almost impossible to determine how well the Ex-Im Bank is achieving its expressed goals or stewarding taxpayer funds. 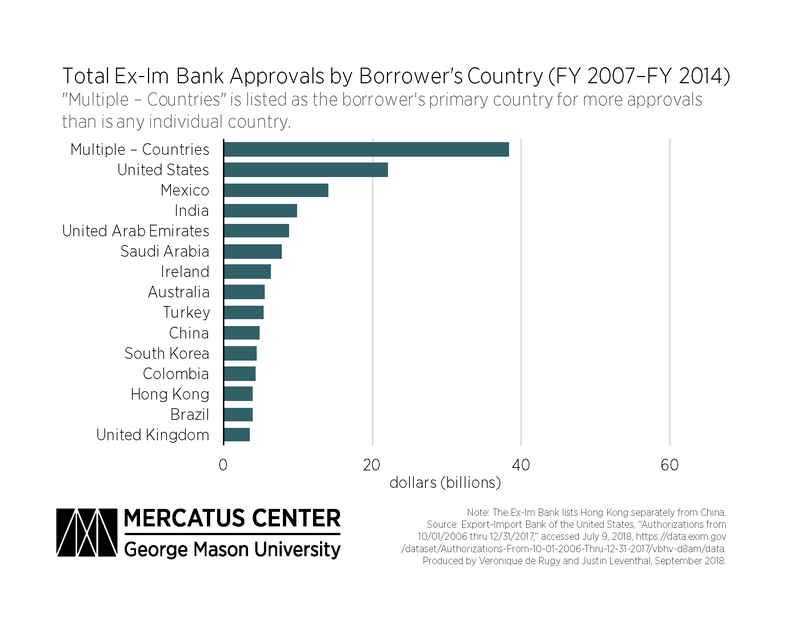 Similarly, the Ex-Im Bank does not clearly identify which US exporters it is helping. 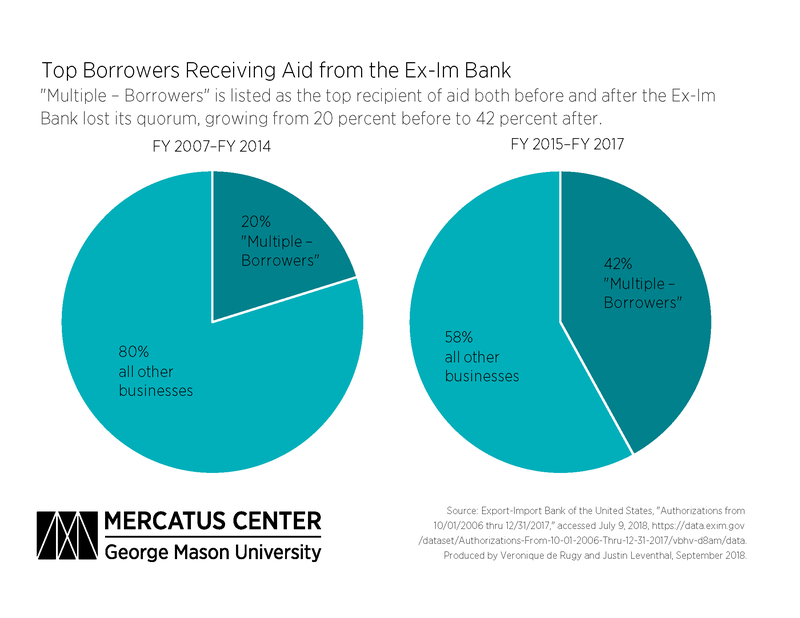 From FY 2007 through FY 2017, the bank provided $41 billion in support to “multiple – exporters” or to “N/A.” Both terms are used in conjunction with multiple participants in an Ex-Im Bank insurance program, making it difficult to identify which US businesses are helped and how much assistance those companies receive. The lack of information on borrowers and their country of origin makes it especially difficult to check if this agency has complied with US laws, such as sanctions on Iran and North Korea. 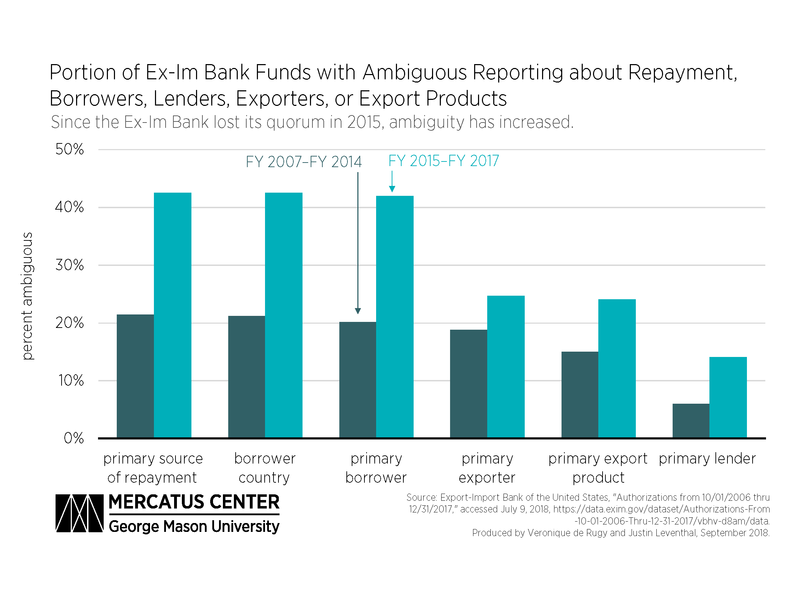 The Ex-Im Bank also uses vague terms regarding the primary sources of repayment (PSORs) and the primary lender. In the case of PSORs, “Multiple – PSORs” and “Various US Companies” are listed for 24 percent of the Ex-Im Bank’s actions, whereas the lender is listed as “N/A” or as “Various Capital Market Investors” for 7 percent of Ex-Im authorizations. Further transparency issues exist in tracking how much aid each US state and territory’s businesses receive from the Ex-Im Bank. It is unsurprising that the state of Washington receives more total support from the Ex-Im Bank than any other state, given that the Ex-Im Bank’s single largest beneficiary, Boeing, is based there. What is less expected is a lack of transparency as to where in the United States other supported exporters are located. 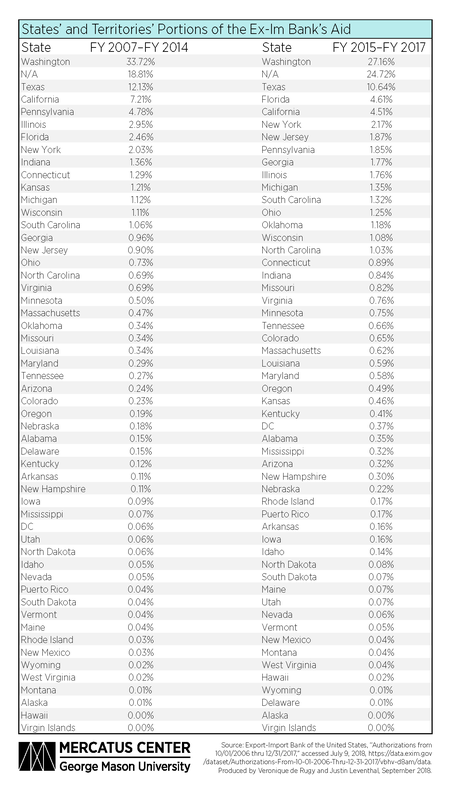 In fact, the state or territory whose exports receive the second-most support from the Ex-Im Bank is listed as “N/A,” at 19 percent when the Ex-Im Bank had a quorum and 25 percent when it did not. Share this Facebook TwitterIn fact, while total allocations from the Ex-Im Bank have decreased since it lost its quorum, the proportion of ambiguous allocations has increased in multiple categories. 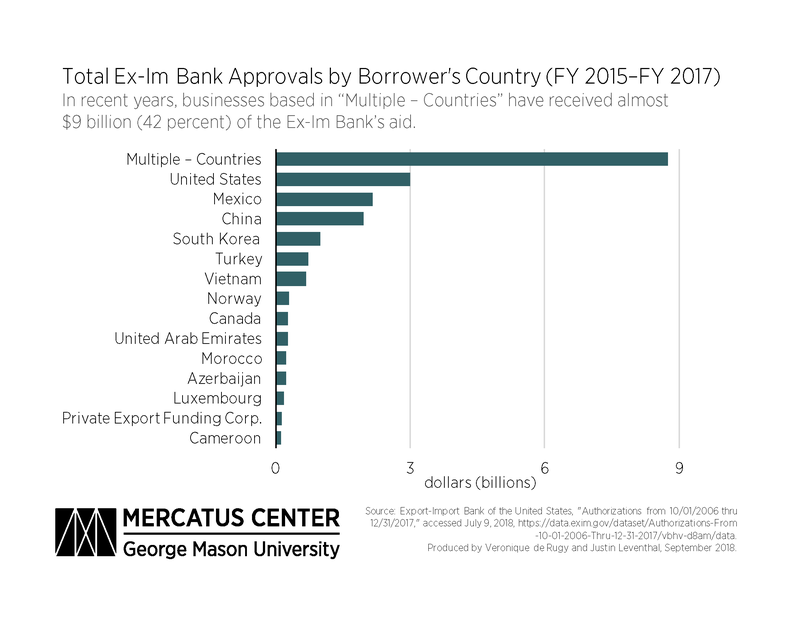 Share this Facebook TwitterMore than one-fifth of Ex-Im Bank aid goes to borrowers that are not transparent, in countries that are not listed in the Ex-Im Bank’s data.